When I was in 9th grade, I wanted a nickname. I'm not sure why, but I tried to figure out a nickname I could use, but nothing really really seemed to fit or stick. For the most part, I've always liked my name. My siblings always enjoyed the fact that my dad had a dog with the same name before he met my mom--just because he liked the name. They used to tell people I was named after a dog. Which is kinda true I guess. Well actually, he liked Bob Dylan's song, which is where my name comes from! It's an old song that Bob Dylan did a popular version of in the 70's. In fact, growing up my dad would sing this song to me all the time, while playing his guitar. His version of the lyrics were slightly different from what I see online. This is a special memory, since my dad had a stroke 11 years ago and can no longer play the guitar, something he did since the age of 7. My middle name came from my Grammy Rose, my dad's mom. I always loved having her name. So much so that I passed it on to Miss Rose. I loved having a unique name that wasn't weird. No one can ever spell my name though because there a gazillion ways it could be spelled with different consonants and vowels. I think there is a piece of paper in my baby book where my parents tried a variety of spellings for my name, which is the same thing I did with Miss Rose's first name. 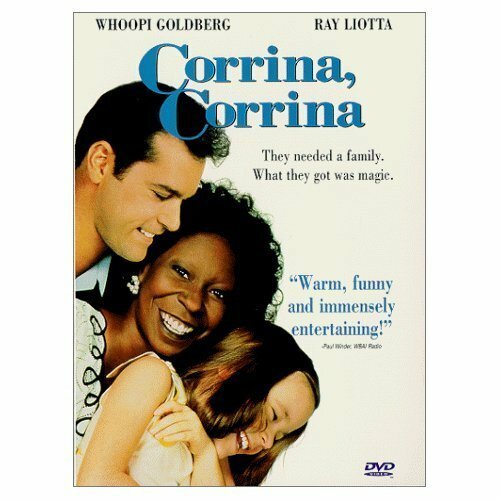 In the 90's Whoopi Goldberg took on my name and it's spelling for a movie, which I have a VHS copy of and the soundtrack is fun because there are a few versions of the song on it. Today, I was doing a random search on google and this article popped up. I guess Boston Rob and Amber like my name too. Although, I'm a little partial to my spelling. I am, Corrina Rose. I hope little Carina Rose likes her name too.